Earth, as seen underneath Saturn's rings. Tonight's yoga class was a struggle. From start to finish. I was shaky and off balance and couldn't get a grip on my mat from all the sweat rolling off my underused body. I found myself going toward a place of frustration and defeat, which would've only made the rest of the practice futile. It's so hard to find your center when you're busy telling yourself you're failing. Then our instructor had us take this pose with one leg stretched out behind and the other stretched at an angle in front. Our hands were clasped behind our backs, our chests pointed skywards. I didn't know what to do with my head, so I held it up. But the instructor told us our head should hang low and heavy. This is humble warrior, she said. Our heads should be bowed to the ground with our hearts raised skyward. "You can bow to your body. Or to the practice," she said. So I did. Head hanging low toward the Earth. Heart raised to the heavens. Bowing to enlightenment. Because I experienced some of that. Now, this is going to probably sound a little hokey to those non-yogi sorts among you (and potentially to those of you who've ever omed or Namasted or groaned getting out of half-pigeon) but the pose felt profound. It felt like a lesson. One of those rare moments of clarity about how to live more fully. Humility. From the Latin words humilitas and humilis, meaning "grounded" or "from the earth." (*cough* at least according to Wikipedia *cough*). Lowering my head to the ground allowed me to be mindful of my roots. To acknowledge I am limited and impermanent. Something my brain encumbered by pride and ego and self-importance needs to be reminded of constantly. That's part of the human condition, right? Being the centers of our own universes. But the beautiful part of humble warrior, is that to balance out this moment of vulnerability and insignificance, your heart is raised toward the vastness of the universe. Opening itself up to the beauty of all that is and was and will be. It was this perfect limbo. The brain will not always allow you to find what the heart sees so readily. Faith. I mean that has to be what faith is right? Quieting your roaring psyche for the grace that comes with knowing you are who, who you are - no more, no less. (I'm rediscovering Pearl Jam. That guy knows what I'm talking about). Humility is not a quality we seem to value much in the U.S., at least on a national level. We're raised to seek higher incomes and bigger houses. The things we do to unwind often results in a competition with ourselves and each other to run faster and harder and longer. To be better than the best. We don't find joy in the doing, so much. Just in the finish line. And when we can't make it to the finish line in time – we berate ourselves for failing rather than celebrating that we tried. The people we tend to put our faith in, to put our trust in, to look up to as leaders and role models – they're not exactly humble. At least that I can see on the public stage. They know our attention spans are short and our humors easily swayed by things that are bigger, louder, flashier, more shocking. The things that allow us to raise pitchforks and wave torches at the next parent who allows their child to fall into a gorilla enclosure. So intoxicated are we by rage and self-righteousness, we often forget our own humiliation. The hard lessons we've had to learn. But I think humility is alive on a smaller scale. I see it around me, in the thoughtfulness of my neighbors and in the sweetness of strangers. And maybe there's a reason for that. By its nature, humility is lowly, unobtrusive, meek, reserved. Asking for a huge act of humility seems like it might be an oxymoron. At a cosmic level, the Earth is just a speck. 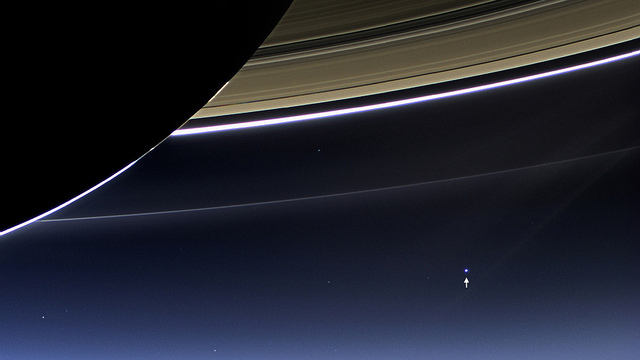 And we're just the dust occupying that speck. So, I don't know, maybe its not too much to ask that we all try to embody the greatness of humility. Tonight, as a balanced on the verge of falling, humbled by the enormity of existence, my heart felt as vast as the universe. It's a relief to know I don't know a whole lot – I come across more mysteries that way. And can appreciate the questions just as much, if not more than, the answers. I continued to stumble and teeter for the remainder of my practice. Even falling on my face attempting a handstand. The only difference was, after humble warrior, I smiled and laughed about it. Sometimes you just need to let gravity win.